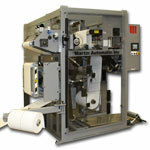 Martin offers a range of rewinds that automatically transfer the running web from a full roll to an empty core without stopping or slowing the line. 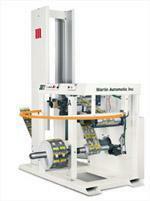 From the LR and LRD winders, which automatically unload finished rolls; to the versatile RMAP, capable of winding rolls of film, paper, nonwovens and paperboard; to the TR shaftless or shafted turret rewind, Martin rewinds feature many performance and operator features for roll to roll applications. If you don't see quite what you're looking for, please contact us to discuss your specific needs. We invite you to put our resources to work for you.